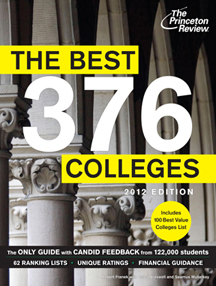 Wabash College is again featured in The Princeton Review’s 2012 college guide. The wildly popular and sometimes controversial rankings contained within The Best 376 Colleges guide rank Wabash in eight top-20 categories. Every year when The Princeton Review publishes its best colleges guide, the media tend to focus on the “Students Say” rankings. Unlike most popular college guides and rankings, The Princeton Review surveys tens of thousands of students at colleges and universities across the country to seek their opinions on their experiences. Wabash got high marks for "Best Athletic Facilities" (4th), "Most Accessible Professors" (12th), and "Great Financial Aid" (17th) among its eight top-20 rankings. Wabash ranked first of all colleges profiled in the guidebook in the category of "Easiest Campus to Get Around." 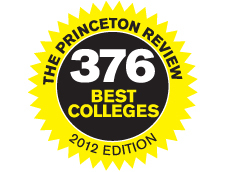 Wabash was also listed in The Princeton Review’s Best Value Colleges for 2011. According to the Princeton Review, it partners with USA Today to call out 50 private schools for their excellent academics, low sticker price and/or generous financial aid. Wabash received a financial aid rating of 95 (out of 99).